Robert Lawson Patterson, of Wormit, Fife was born on 23rd October 1913 and joined the RAFVR about September 1937 as an Airman u/t Pilot. Called up on 1st September 1939, he completed his training, was commissioned and joined 235 Squadron in early 1940. He was captain of Blenheim N3541 which failed to return from a convoy patrol off East Anglia on 18th July 1940. He and his crew of two, Sgt. LHM Reece, observer and Sgt. RY Tucker, gunner were reported 'Missing'. Patterson was 26. 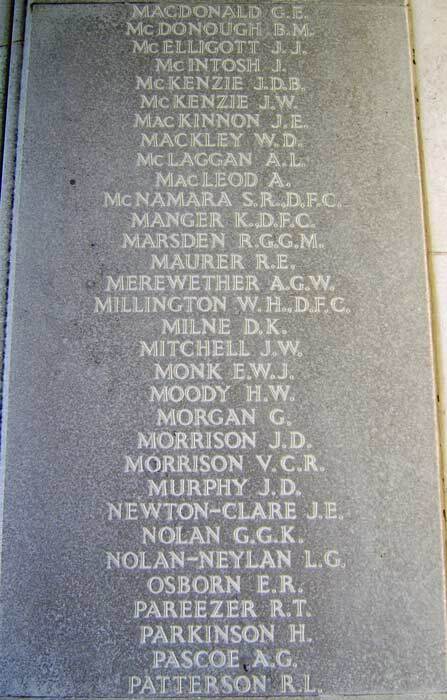 His name is on the Runnymede Memorial, Panel 9.